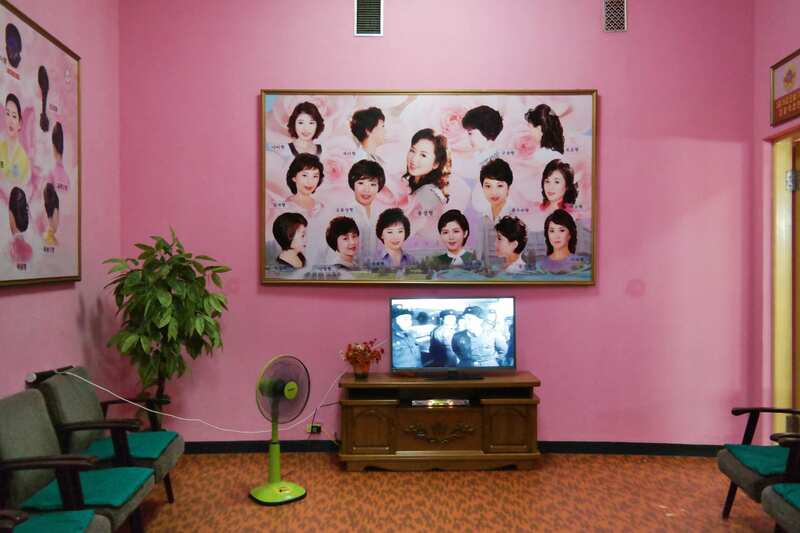 Oliver Wainwright's Inside North Korea provides a visual tour of the isolated nation. Few Westerners get the opportunity to travel to the Democratic People’s Republic of Korea. 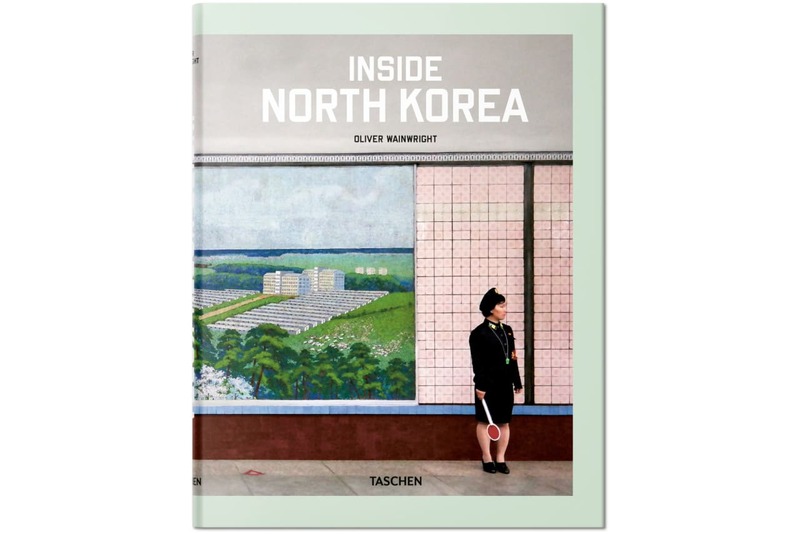 For those who haven't, Oliver Wainwright’s recent book of photography, Inside North Korea (TASCHEN), provides a decent substitute. The book is based on Wainwright’s 2015 trip with Koryo Tours, the Beijing-based tour company led by Nick Bonner (whose own book about the design of North Korea we’ve written about previously). Wainwright, who serves as the architecture and design critic at The Guardian, has an eye for the elegant lines and imposing geometry of the built world. His photos are often sparsely populated at best—a guard here, a bicyclist here—making Pyongyang look like a theatrical set waiting for its actors to arrive. 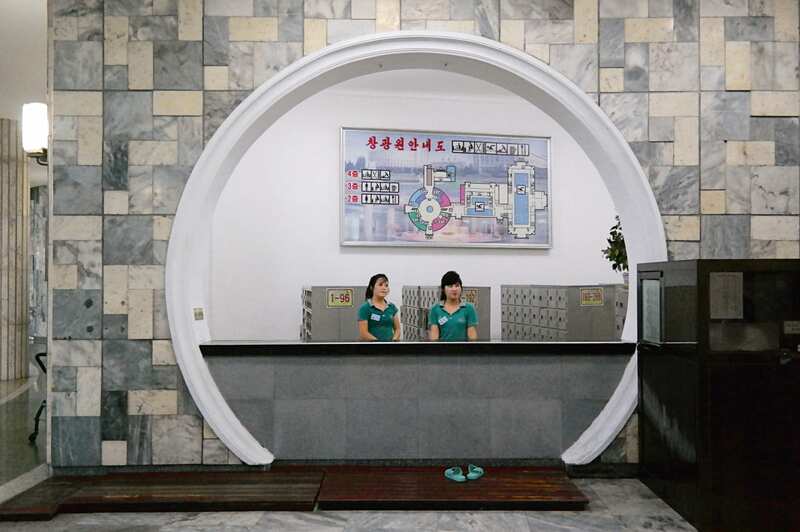 We get little sense of the everyday life of the city (few foreigners do), instead focusing on the grand, monumental architecture and colorful design on view in the North Korean capital. 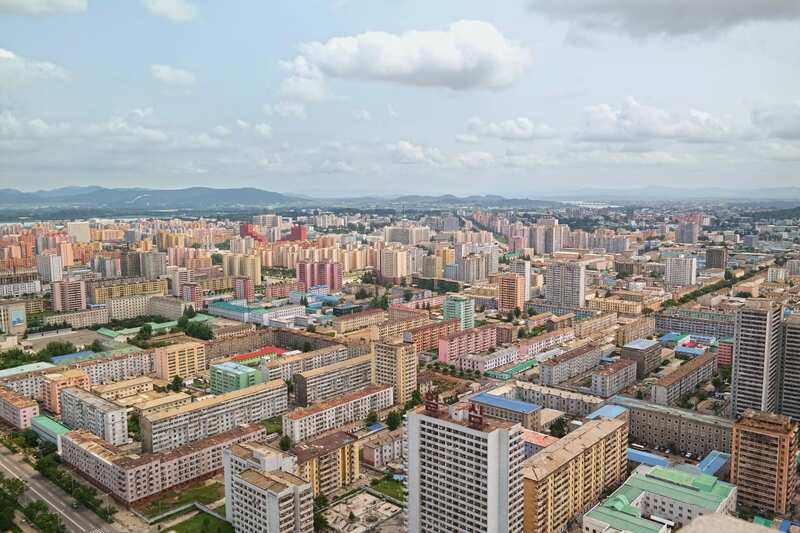 The book is divided into six sections: city views and housing, monuments, museums and the arts, sports and education, leisure and hospitality, and the Pyongyang metro. Here are a few of the incredible images featured inside. "Entirely flattened by U.S. bombing during the Korean War, Pyongyang was rebuilt from scratch from 1953 onwards, conceived by the country's founding father, the Eternal President Kim Il Sung, as 'a great garden of Juche architecture,'" Wainwright explains in the book's introduction. Created by Kim Il Sung, Juche—which means "self-reliance"—is North Korea's official state ideology. 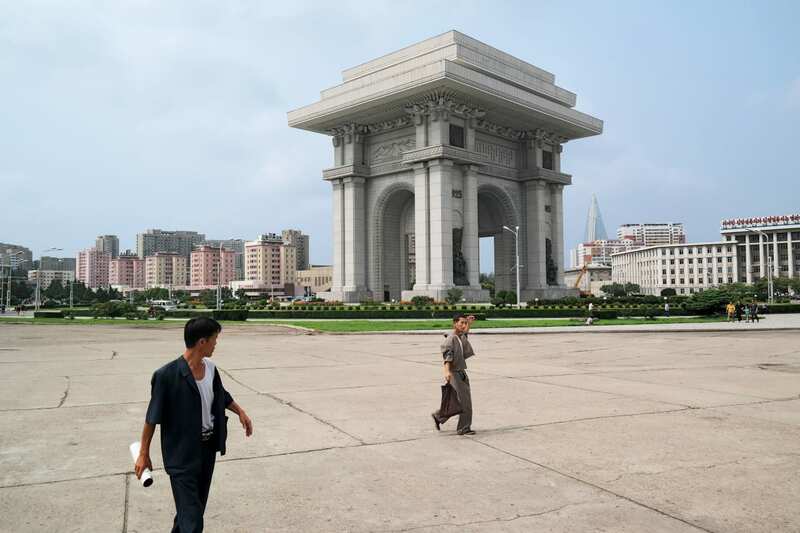 Pyongyang was designed by Kim Jong Hui, an architect trained in Moscow, and it follows a distinctly Soviet layout, with large city squares and wide boulevards bookended by imposing monuments. "The result creates a highly theatrical city, made up of interconnecting processional sequences, where every vista is carefully framed, every route designed for maximum spatial impact," Wainwright explains. 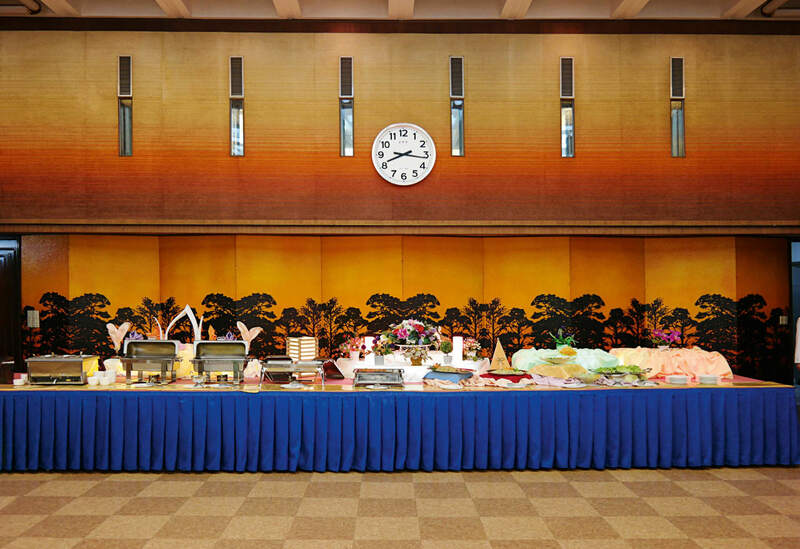 "Walking the streets of Pyongyang feels like moving through a series of state sets taken from one of the country's socialist-realist operas." These showcase apartment buildings along Kwangbok Street were largely built for party officials and members of the North Korean bureaucracy. The Arch of Triumph, modeled on the Arc de Triomphe in France, was built in honor of Kim Il Sung's 70th birthday and commemorates Korea's independence from Japan. Standing on the site where Kim Il Sung entered the city in 1945, it's more than 30 feet taller than its French predecessor, with 25,500 white granite blocks to represent every day of Kim Il Sung's 70 years of life. The 13th World Festival of Youth and Students, a communist youth festival, brought students from 177 visiting countries to Poyongyang, providing the opportunity for North Korea to show itself off on the world stage. An architectural boom preceded the festival as Kim Jong Il sought to ready the capital for international attention. 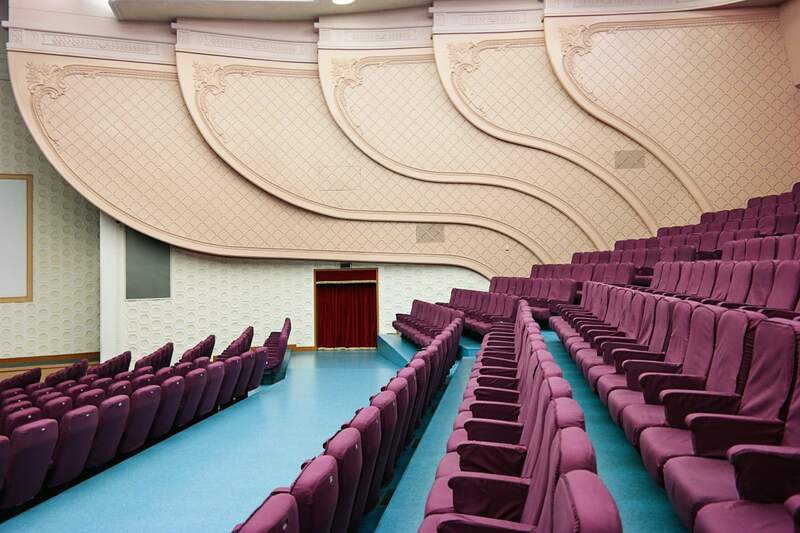 The East Pyongyang Grand Theatre, built in 1989, can fit audiences of up to 3500. The Rungrado May Day Stadium, which seats 114,000 people, was built in 1989 to hold Mass Games performances. 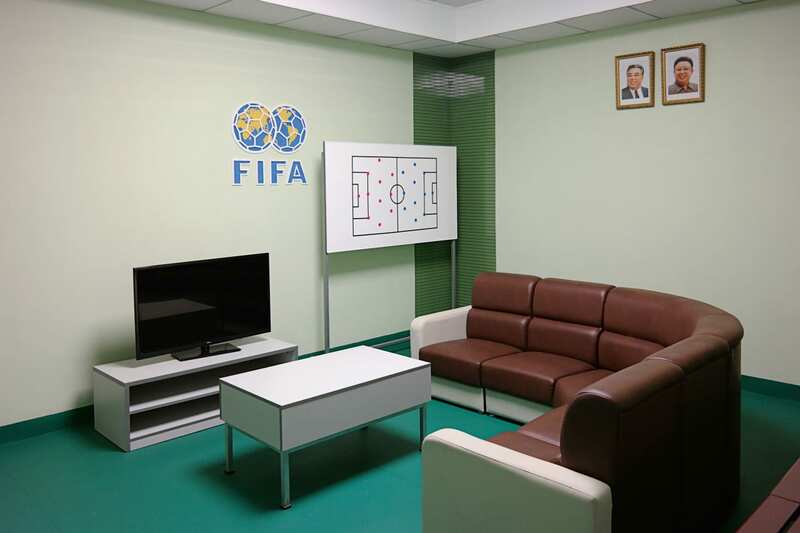 A 2015 renovation included what Wainwright calls "the optimistic addition" of FIFA and Olympic logos in some of the ancillary rooms designed for training and press conferences. 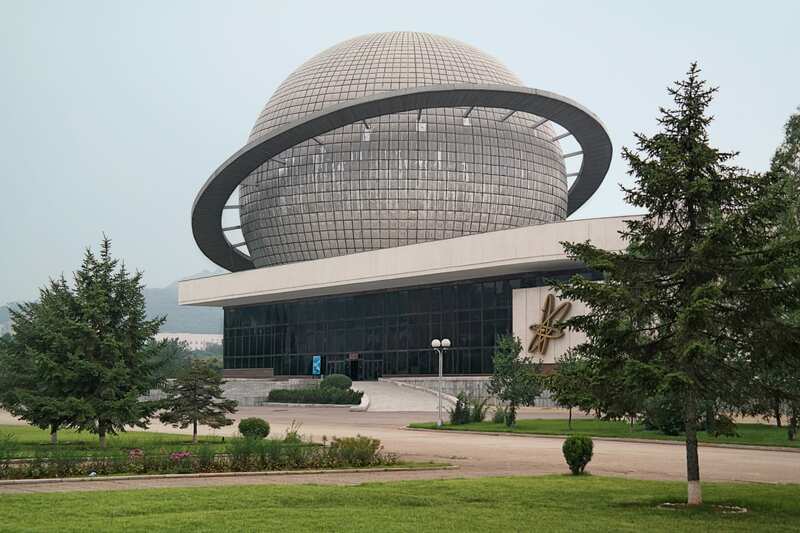 The Three Revolutions expo park, built in 1992, is designed to showcase the cultural, ideological, and technological achievements of the Democratic People's Republic of Korea. 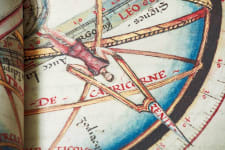 It contains six different exhibition halls scattered across a 0.6-mile campus. The Koryo Hotel is made up of two 45-story towers, but only one is accessible to foreigners. The complex contains 500 rooms, a movie room, a casino, a bookshop, and a basement wading pool. 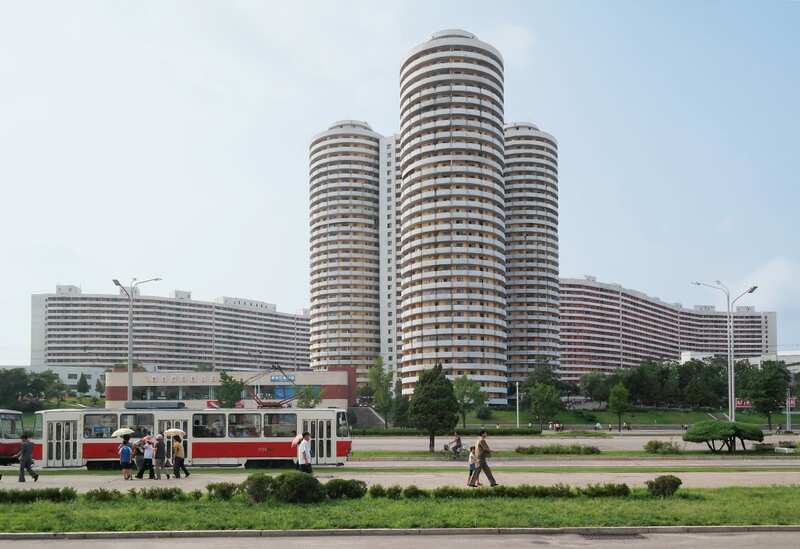 It also has revolving restaurants at the top of each tower, but one of them remains off-limits, "as it overlooks a residential area of the Pyongyang elite," Wainwright notes. 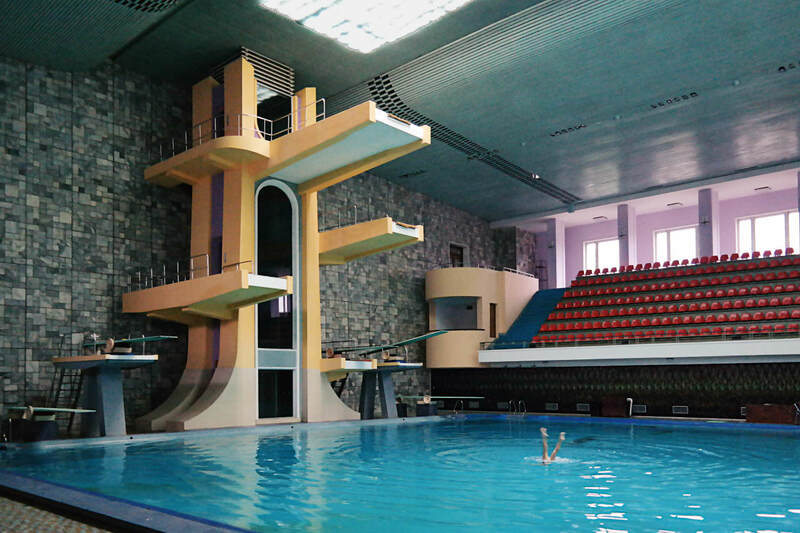 The Changgwang Health and Recreation Complex, which opened in 1980 and can fit 16,000 people, was designed to be Pyongyang's flagship health complex. 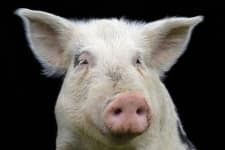 It has a sauna, a bathhouse, swimming pool, and multiple hair salons where customers can get one of a number of officially sanctioned haircuts. To reach the health center's highest diving boards, swimmers take an elevator enclosed with smoked glass. Inside North Korea is available for $33 on Amazon.